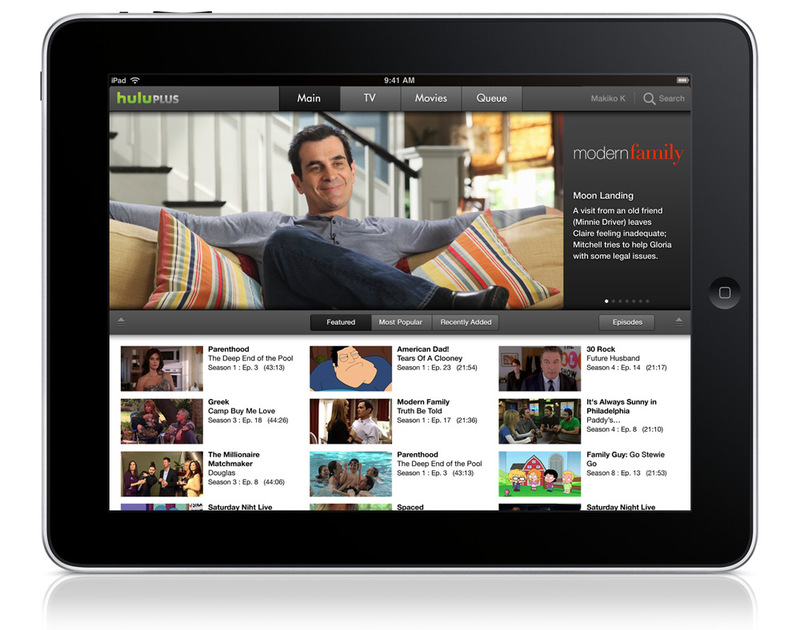 Over the past few months reports have indicated that a subscription-based version of Hulu was in the works. Yesterday, Hulu lifted the curtain and announced Hulu Plus. The premium service brings three major new features to users that were previously unavailable or limited. These include access to all episodes from current seasons of top shows, access to a library of full-length episodes from past seasons, and access to the Hulu Plus service on mobile devices and HDTVs. The current season ticket, which enables access to every episode in a season, is a great upgrade to the current “last 5 episodes” restriction. It’s especially great for those who want to begin watching a new show partway through the season. It can also be advantageous for those who don’t like to watch shows week to week and instead prefer to view a whole season at once. The only other method customers have to get this level of access to content is either to manually schedule recordings on a DVR or wait for the DVD box set to hit stores. That’s also about the time shows usually debut on Netflix as well. But Hulu claims to make all this content available throughout the season. With access to the rich library content you will be able to watch every episode from past seasons of hundreds of shows. This includes shows which are no longer on the air such as Arrested Development and Buffy the Vampire Slayer, or earlier seasons of currently-airing television shows like 30 Rock and House. It is like having your own complete DVD set of each of these shows. This feature can become extremely useful when you are unable to reach your DVD collection, such as when you’re traveling, or if you just don’t want to have physical DVD box sets cluttering up your living room. While the pros include saved storage space and 720p quality video, cons include the need for a fast internet connection and having to deal with advertising. Hulu Plus costs $9.99 per month and will include 720p high-definition access to both currently airing content as well as previous seasons. The service will also work across bunch of different platforms, including PCs, iPhone, iPad, iPod Touch, PlayStation 3, HDTVs, Xbox 360, and more. The PS3 version is slated for a July launch; hopefully the experience will be integrated into the console itself, unlike the Netflix program where you need to insert a disk. The Xbox 360 version, unfortunately, won’t see the light of day until sometime early 2011, but it will likely be well implemented as a new dashboard panel. iPad and iPhone 4 users are in luck since the application runs over both 3G and WiFi. The app is available as a free download as well, however, it won’t enable access to all content without a subscription. And on a final note, Hulu fully plans to push the Hulu Plus service onto web-enabled HDTVs and Blu-ray players in the coming months. Hulu Plus reaching these different devices shows real initiative from the company to leave the computer screen. They clearly intend to take over everything from portable handhelds to large HDTVs. This could very well mean that the service may soon reach set-top boxes such as Google TV, Boxee, and more. And competing mobile platforms, including Android, may get the premium service as well. Hulu Plus has a clear advantage over its competitors with its 720p HD streaming, which no competing service offers on a subscription model. While Apple iTunes and Amazon Video offer HD access to these shows, they charge $2.99 per episode. Hulu Plus, on the other hand, offers unlimited viewing with a monthly rate. And while Netflix may offer these shows for a subscription-based price, their TV shows aren’t available until the DVD box set hits stores. The big question remains, “Will people pay for the service?” That’s really hard to tell, since Hulu will continue to offer the five most recent episodes of TV shows for free. When a free option is available, although at lower quality, many may choose to deal with the limitations. But there’s definitely a market of people hoping for this exact service. At a price comparable to old-fashion basic cable TV, Hulu Plus offers access to a full library of on-demand content. It also brings the service to a variety of devices, with support for more likely in the works. It’s also a great model for Hulu since they will continue to rake in profits from embedded advertising and the subscription fees. If anyone is at loss, it’s the DVD industry. With Netflix, and now Hulu Plus, the advantages of owning physical media are narrowing day by day. I am fine with the model that Hulu is taking. By continuing to allow free access to recent content, the company stays in the good graces of consumers, which is an extremely smart move. Although the television industry has not been as resistive as the movie industry, it has still been tough for Hulu to move towards a new medium. I hope that Hulu’s success will convince studios to embrace the internet.